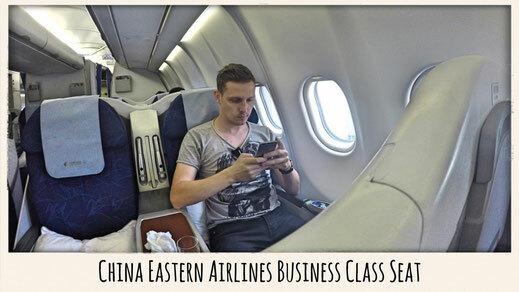 After flying on China Eastern Economy Class earlier this year I was eager to try it's Business Class product. I was on my way to the ITB in Shanghai and my flight was about to leave very early. This time I wanted to give Blacklane a shout, a limousine pick up service which offers airport drop offs and pick ups for a reasonable price. China Eastern Airbus A330's are pretty much outdated as much as everything at Beijing's Terminal 2, including the entire building, the lounge and other facilities inside or just even near it. The flight experience was pretty average, but please read more below. 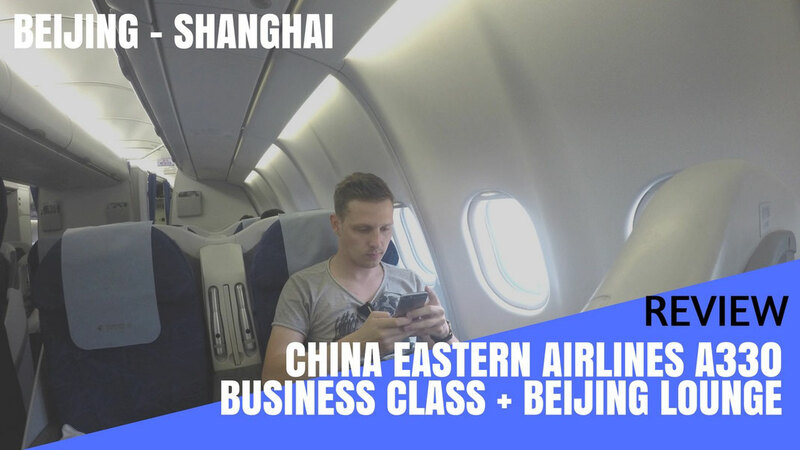 If you don't want to read the review (I know, too many words) you can just lean back and enjoy my video report which gives you a detailed inside of what it's like to travel on China Eastern Airlines Business Class. 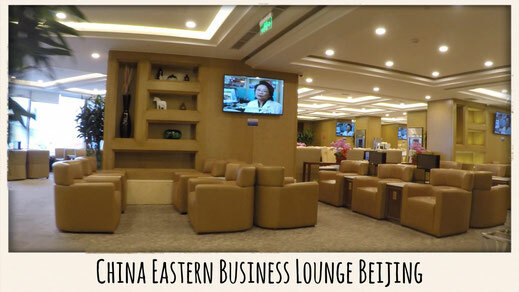 Once you enter Terminal 2, China Eastern offers a VIP check-in counter for all Business Class travellers or Elite status members. This just makes life so much easier and I received my boarding pass and lounge invitation in no time. Next Stop: Lounge. 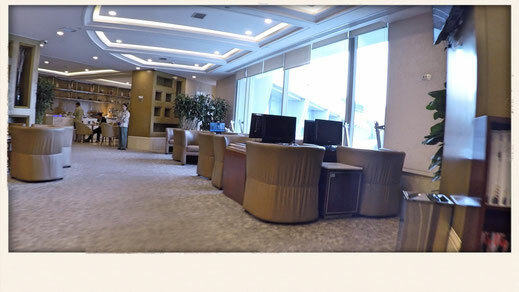 China Eastern Business Lounge at Beijing Airport Terminal 2 is pretty basic. 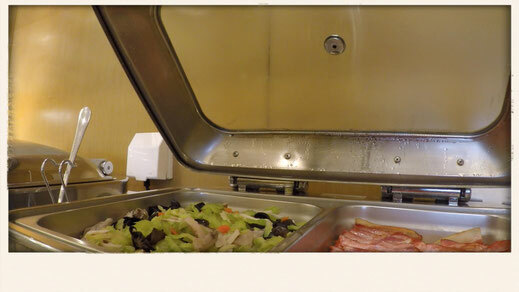 It offers a little buffet, a noodle kitchen and all sorts of beverages. It doesn't have a tarmac view but from the window you can watch the tower, if that's something you are interested at. 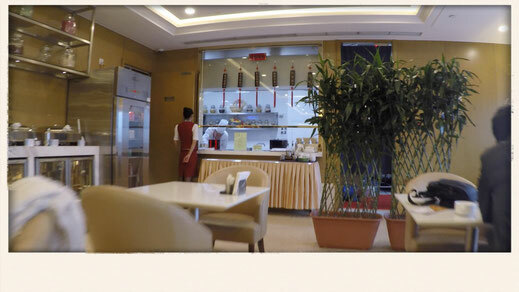 A business centre was at your service and a few screens showing Chinese news. Overall a pretty average lounge which, to my surprise, wasn't too busy. On domestic and most flights within Asia, China Eastern operates these on their older Airbuses. 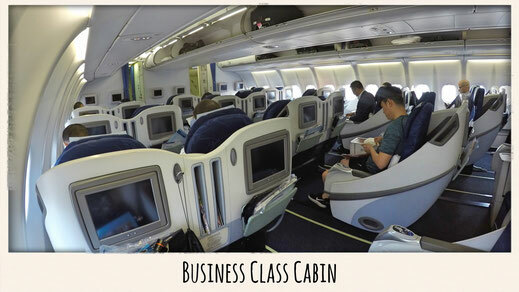 The Business Class comes in a 2-2-2 configuration. 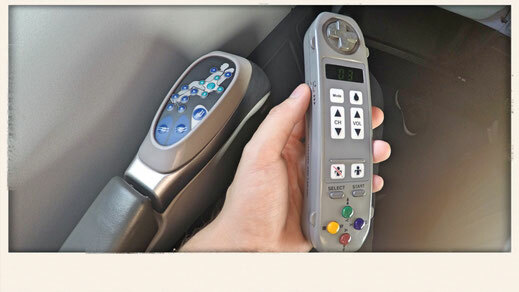 The seat and the onboard entertainment are a bit outdated but still comfortable and offers plenty of legroom. The personal screens reminded me of my first TV from 20 years ago which was very grainy. The sound quality was underwhelming as well. In fact you can't hear much. The seats don't fully recline, so they remain angled. I don't like these because I can't really sleep on them. However they are still comfortable for a bit of a snooze. Check out China Eastern Airlines Airbus A330 Seat map for more information. Old Cabin, No Emotions but alright Food. The service was solid but without much emotions. I barely received a smile and the crew was simply just running their tasks. I don't want to complain but I guess it's all about the service in my opinion. But priorities are certainly different at the Shanghai based airline. However they all seemed to be very lovely and I'm sure they are all very nice but I was missing the human touch. They don't ask you whether you had a good day and if you would replace them by robots, the experience would be pretty much the same. 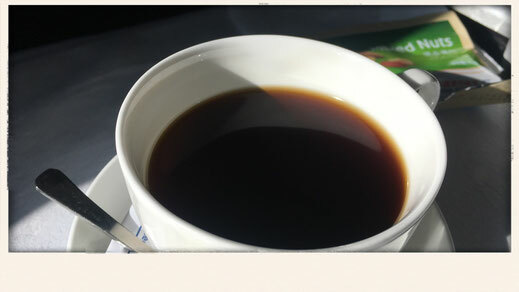 They offered the usual welcome drinks and asked whether I would prefer a Chinese breakfast or rather have the Western option, which I end up choosing. 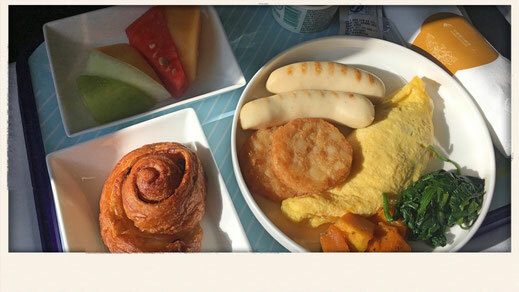 The food was alright, a very standard breakfast but it certainly wouldn't win a Michelin Star. However I was satisfied and the cinnamon roll was actually very delicious. Grainy Screen, Awful Sound Quality. After the breakfast I tried the entertainment section but the sound was just dreadful and the quality of the screen didn't really encourage me any further so I decided to nap a little bit. The selection of movies varied from a handful Hollywood blockbusters, Bollywood and some Chinese movies with English subtitles. However we departed Beijing on time and we slowly started to descent into Shanghai Hongqiao Airport. To the left I could see Shanghai's amazing skyline, something I really enjoyed. 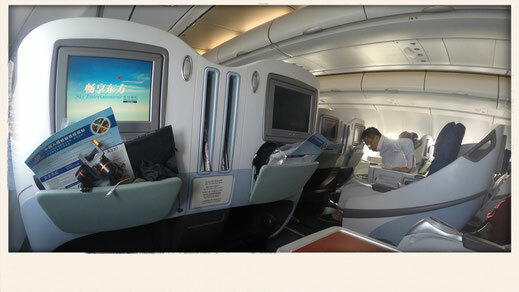 China Eastern is not a bad airline, but there is definitely a lot of room for improvements. The airline is currently renewing its fleet and most of the international routes are already being operated by the new Boeing 777, which comes with a great Economy Class and an even better Business Class product. However, the Cabin Crew lacks emotions and dedication and that is something that needs to be changed. Overall, the cabin was of course a bit outdated but I personally don't think it is a problem on a short flight.